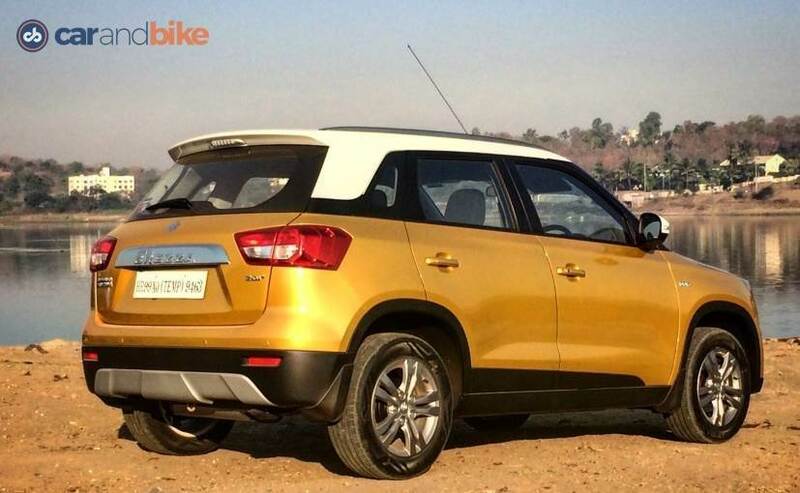 As I sit down to write my review of the Maruti Suzuki Vitara Brezza, I am somewhat conflicted. It is after all rather ironic that I am talking about an SUV becoming one of Maruti Suzuki's most significant products ever. Why? It is a small car specialist that has built its reputation and its business - globally and more so in India - on the back of volumes from small cars. To be fair though the Vitara Brezza is a sub-compact SUV and so in that sense it too is a small car! The Vitara Brezza draws on Suzuki's SUV heritage that has seen limited yet noticeable success the world over with the Vitara nameplate. The larger CR-V-sized Vitara may still come to India and so the linkage to a true blue (almost!) SUV is a good idea for the baby Vitara then. 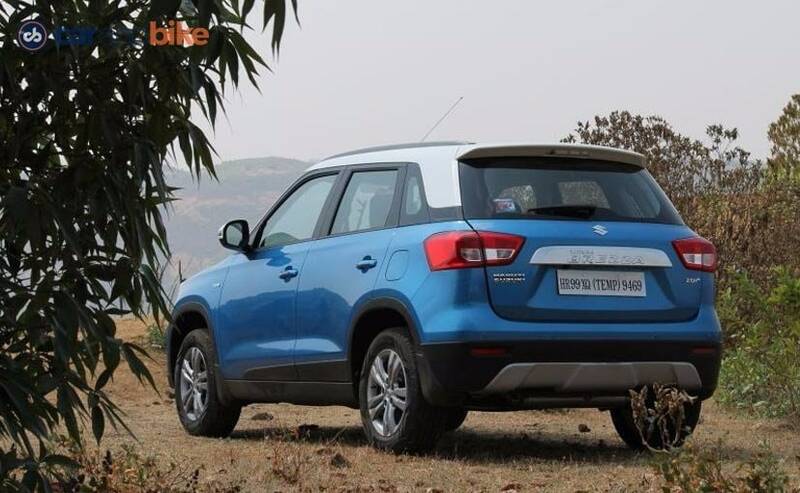 The Vitara Brezza is under 4 metres in length at 3995 mm, which means Maruti Suzuki gets an excise duty benefit on it. Throw in the recent cess thrown at the auto sector in the Union Budget and that excise cut becomes even more valuable when you compare to rivals like the Hyundai Creta (which is larger though, and not sub-4 metre). The Vitara Brezza has good proportions despite being that short in length. The car sits tall at 1640 mm, is reasonably wide at 1790 mm, and has a generous wheelbase of 2500 mm. It has an attractive design, looks modern and has some cool colour options and customisations possible - including body graphics and colour strips on the wheels to match the paintwork. 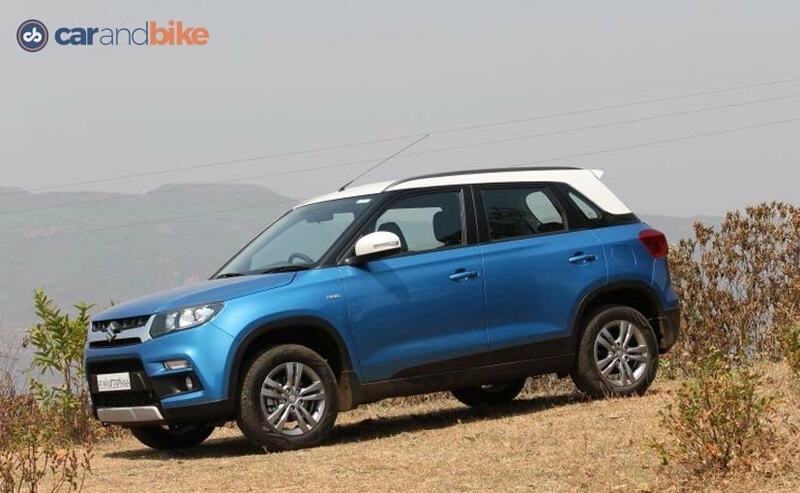 At the Auto Expo when Maruti unveiled the Vitara Brezza the surprise was on two counts - that Maruti chose not to do a market launch, and that it was staying diesel only with it. 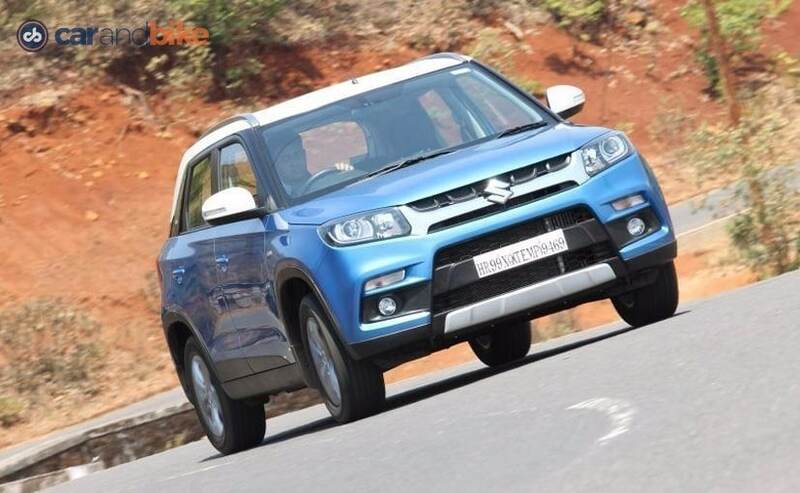 Sure the company had planned to be diesel-strong given how the market was behaving the past few quarters, but in the last 2-3 months there has been almost a lobbying for petrol engines, and so Maruti was quick to say the petrol Vitara Brezza will arrive later in 2016. The diesel car has the now very familiar Fiat-derived 1.3 DDiS engine but (unlike its sibling - the Swift) in an 89 bhp spec. The engine has a fair amount of lag though, and so can be a bit annoying in city traffic, with frequent gear changes and a it even stalled on me a couple of time. Maruti seems to have tuned it heavily towards efficiency and so it lacks a sting like we have seen with the Swift for instance. The mileage figure is an impressive 24.3 kmpl that Maruti claims is class-leading. But out on the open road is where the car belongs, because as you stay over 2000 rpm, the engine comes alive - no it sings! It isn't noisy, overtakes on quick downshifts nicely, and cruises very comfortably at higher speeds too. I mention the Swift here (and not the S-Cross 200 which uses the exact drivetrain) because the Vitara Brezza is a lot like the Swift. The first impression you get when you begin driving the car is that this is almost like a Swift in heels. Which in some ways isn't a stretch of the truth! But the point isn't to be uncharitable! The Vitara Brezza does not handle like the Swift though which is a lot sportier. The car feels a bit imprecise and lacks the sharpness that we have seen with the S-Cross and Baleno off late. It also lacks steering precision which I felt was a bit of a let down after the brilliant steering we have seen on the recent cars. But that said, the big USP of the Vitara Brezza is its ride quality and suspension. I have to say I did not see that coming at all! The expectation from Maruti was of a soft suspension, but instead you get a very mature feel from the car. And what is more it swallows up bad roads and potholes without being mushy. The car's ride is very good, and you will find long drives a breeze, with occupant comfort being a major plus as compared to some of the other compact SUVs. The gearbox is good, and I think people would like to see an automatic on this car - though an AMT might be a bit clunky given the car's ride height and handling. I suspect Maruti would aim at the CVT on the future petrol Vitara Brezza and an AMT on the diesel. But lets come back from the realm of conjecture shall we? 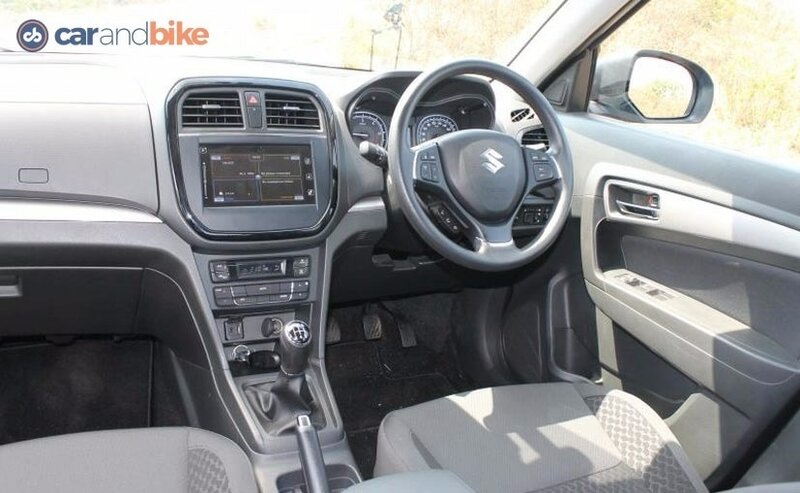 The Vitara Brezza has a sharp and well finished cabin. Again here the recent efforts with the Nexa cars has helped and so Maruti begins the new innings for this model at a higher benchmark. Plastics, fabric and other materials are subtle and classy. The material quality is good too, and you get a fair amount of equipment at the high end, including a cool box, reverse camera, big infotainment system screen with navigation, and yes - Apple CarPlay. You can hook up other non-Apple devices using the aux/USB in or Bluetooth of course. 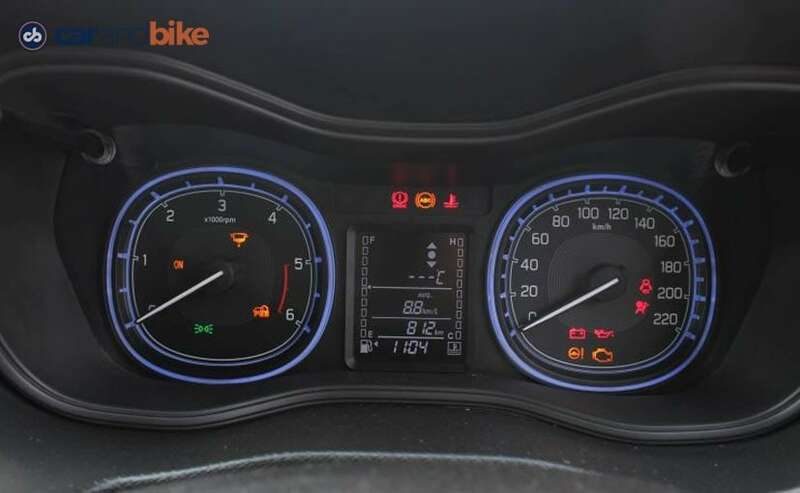 The Vitara Brezza brings an appealing feature to buyers at this price point - mood lighting for the instrument cluster! There is an option of 5 colours that you can play with to change the look of the cluster - blue, white, yellow, orange or red. This is only on the ZDI and ZDI+ though. The cabin isn't as roomy as the larger compact SUVs but will serve a 4 or 5 member family well. The rear seat has a lap belt for the centre passenger though, which isn't great. 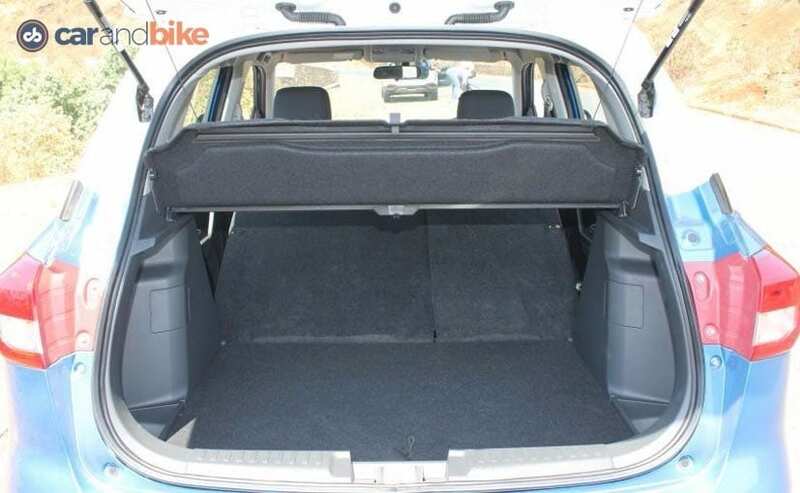 The seat itself is neat, and its base flips up and allows the backrest to fold down to create a full flat cargo floor - that's great! The split is 60:40, and so accommodating a good amount of luggage and cargo of all shapes and sizes would be fine. The fact that Maruti is offering driver airbag as standard and the passenger airbag and ABS as optional even on the base variant is very good. Finally we are seeing this becoming a consistent theme from the market leader, which I applaud wholeheartedly. The car's looks are contemporary and attractive. Maruti chose to go with traditional SUV shape rather than going curvy or crossover - which I think is smart, as the proportions allow the car to look like it is larger than a subcompact. The face is aggressive, with a noticeable front grille, which is finished well. The skid plate adds to the SUV stance. I am not convinced about the squarish wheel arches, because they make the wheels look a bit smaller, but it is still all very masculine and in-keeping with the design brief. The high ride height is accentuated by the high position of the taillights and the roof rails (which are only on the VDI and above variants). The rear will remind a bit of the S-Cross and the family resemblance is not a bad thing. The floating roof concept also makes the car look bigger, and in the ZDI+ trim is available on some colours in white or black (yellow and blue have the white roof, while the red gets the black roof option). The car sits tall and has a good ground clearance as well at 198mm. 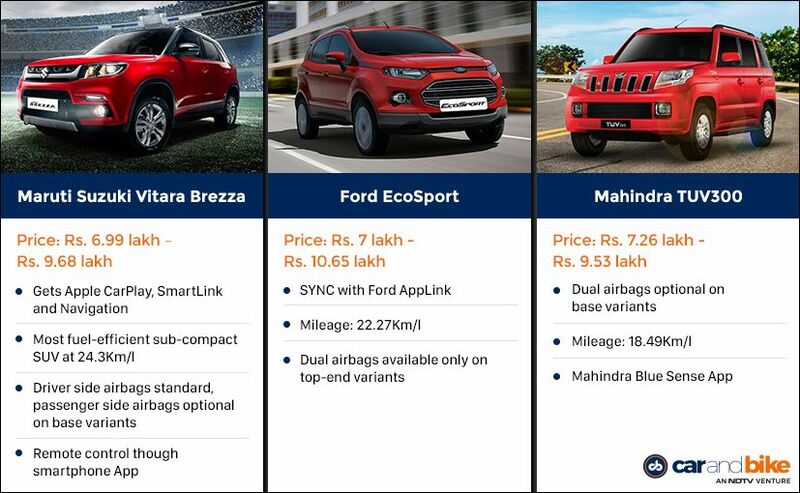 This compares well with the rivals that are in the same territory (EcoSport: 200mm, TUV300: 190mm). I had honestly expected Maruti Suzuki to get brutal with its rivals and severely undercut them with even more aggressive prices. But for the most part the Rs 6.99 lakh starting price has been well received. It sits below the EcoSport and in-line with the TUV300 on pricing across variants too. 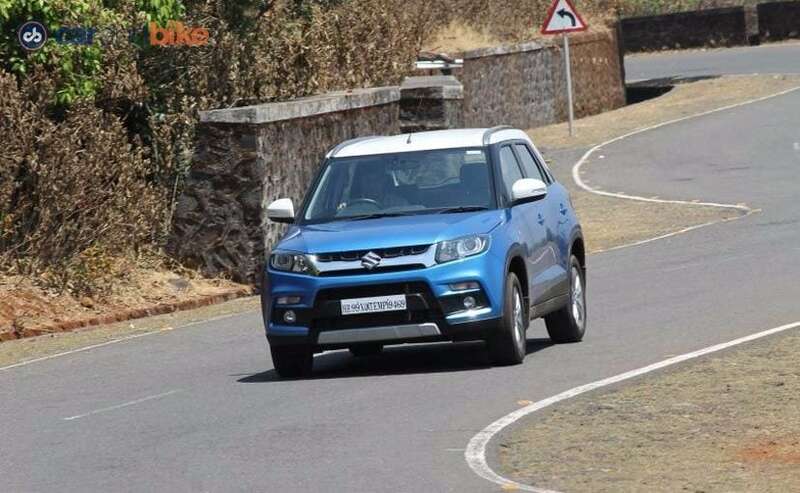 The Vitara Brezza will no doubt be a volumes and margins model for Maruti, and its reputation booster too. 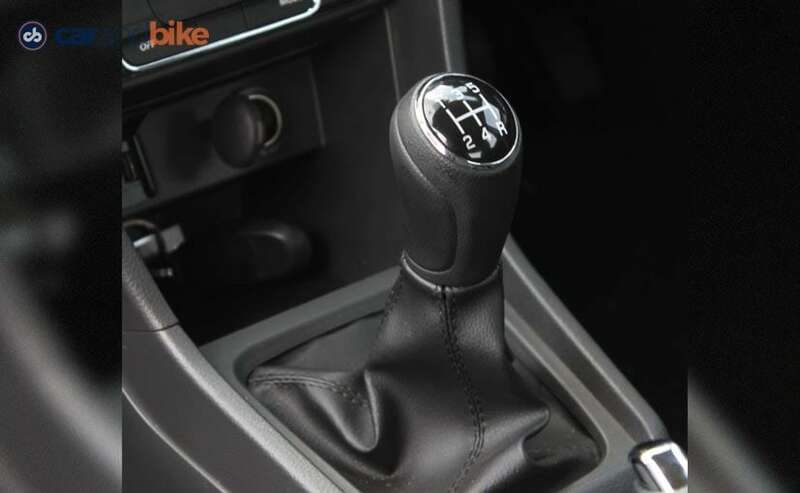 The car looks and is modern, drives reasonably well, has segment-best claims on mileage, offers good comfort and safety features, and will appeal to a wide cross-section of buyers. Does Maruti have a hit on its hands? Do you really need me to answer that?